Who are the people of the Ryukyu Islands? How could they survive and prosper on small, isolated islands? How did the independent Ryukyu Kingdom become a major player in East Asian medieval trade? Ancient Ryukyu explores 30,000 years of human occupation in the Ryukyu Islands, from the earliest human presence in the region up to A.D. 1609 and the emergence of the Ryukyu Kingdom. It focuses on the unique geopolitical position of the islands, their environment, and the many human communities whose historical activities can be discerned. Drawing on the impressive work of dozens of local archaeologists who have brought the islands’ early history to life, Richard Pearson describes explorers and sojourners and colonists who arrived thousands of years ago, and their ancient trade links to Japan, Korea, and China. Through a case study focused on the medieval castles and palaces of the Ryukyu Kingdom, he demonstrates the vigorous trade taking place in East Asia before the arrival of the Europeans in the sixteenth century A.D. He also shows how archaeologists have sought to reconstruct monuments on Okinawa Island that were obliterated in the Battle of Okinawa in 1945. Through analysis of work completed at about 120 sites described in dozens of rare Japanese government reports with limited circulation, Pearson is able to show that many modern features of the culture, politics, and economy of the Ryukyu Islands have very deep roots. 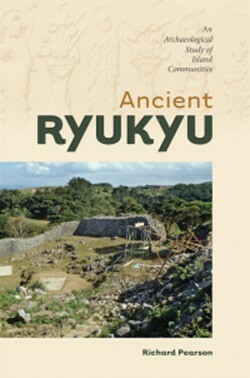 The book concludes with a discussion of aspects of Ryukyu archaeology that are significant for world archaeology and the archaeology of islands. Ancient Ryukyu offers an up-to-date treatment of an unusually long span of human history in the Ryukyu Islands and will become the definitive work in English on the pre-modern era.